The Central Highlands tour with take you through the heart of what is known as the ‘Ho Chi Minh Trail’. Along the way check out the monasteries, and pagodas . Experience an amazing palette of colours of the fresh water waterfall, red canyons and white sand dunes. Have an opportunity to meet with local tribes and learn about the wild life and the agriculture of the region. 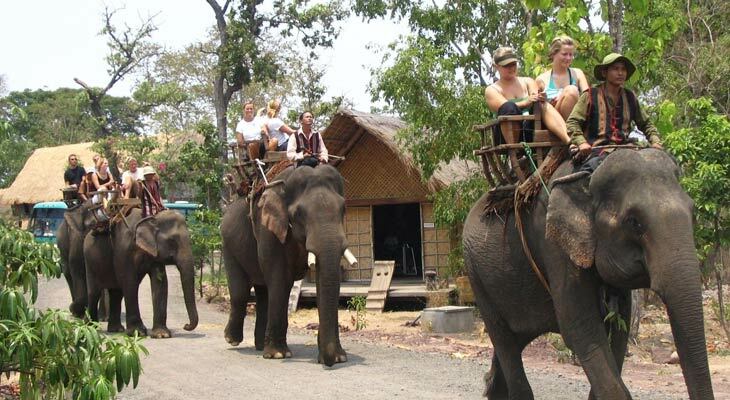 For the more adventurous travellers you’ll enjoy jungle trekking and elephant riding and see some spectacular views of the area. 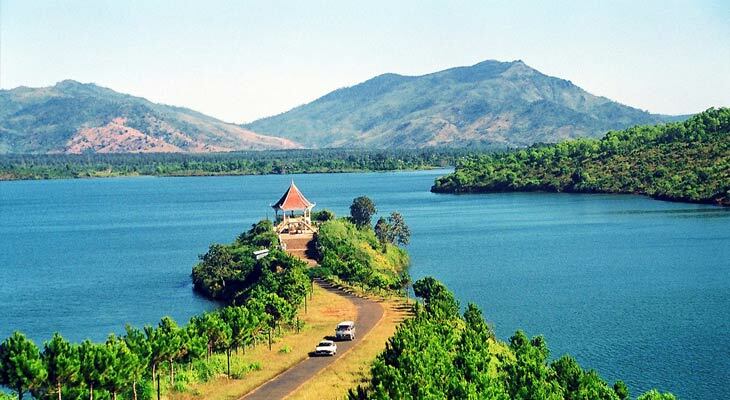 Hike up a dormant million year old volcano referred to as ‘The Eye of Pleiku’. Make a stop at Charlie hill and get a brief history lesson on the Vietnam conflict. Have the unique experience of journeying through the Hai Van Pass with it’s panoramic views of Danang and Hue. 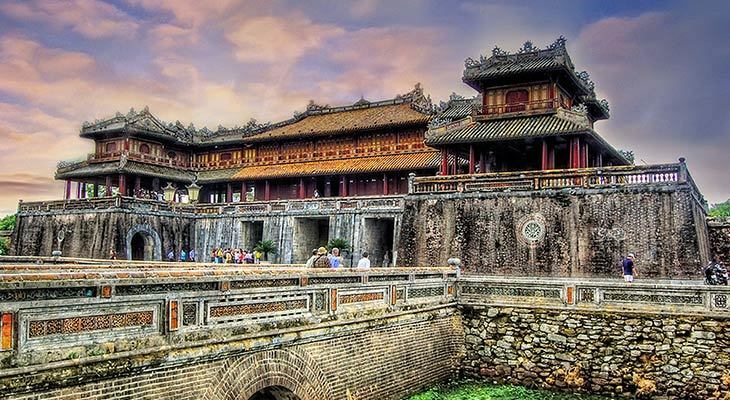 End your tour in to the majestic ancient capital of Hue. Leave Saigon 8:30 and head to Cu Chi. Stop over at a local noodle making factory. See a family making incense sticks in a traditional fashion. 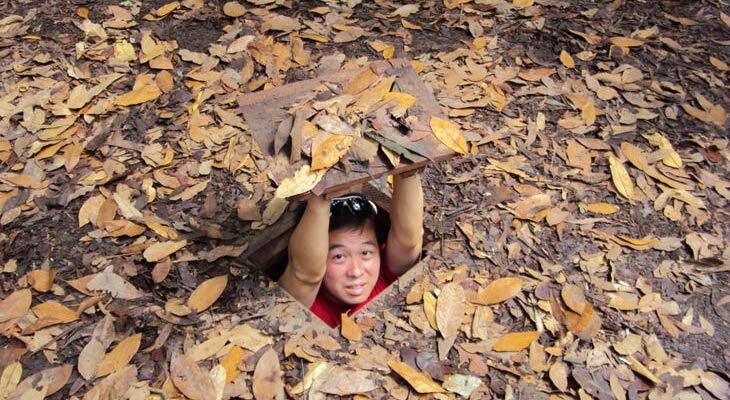 Explore the Cu Chi Tunnels for 1 .5 hours. Lunch at Cu Chi. Cross the Saigon river by wooden boat to Dong Xoai. On the way see a rubber tree plantation and process and extracting the rubber sap. Stay overnight in Dong Xoai. Leave a 8:30 to see a VC war memorial. See a cashew farm and processing of the nut. Drive to the border of Cambodia and stop to learn about the history of the region. Start on the Ho Chi Minh trail. See the damage that remains from the conflict. 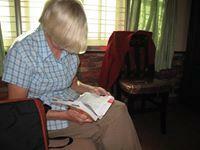 Pass through many coffee plantations and stay overnight at Dak Mil. Leave at 8:30. Drive down rural road to see the Dray Sap waterfall. Drive through a tropical forest and take a swim in the Fairy pool. Picnic lunch. After lunch head to BMT City and taste the best coffee in Vietnam. stay overnight. Starting at 8:30, Driving out of the capital of the Central Highlands, travel on rural roads passing by many coffee and rubber tree plantations. Stop at the tribal village of Ede and see the long stilted houses. Learn about culture and customs. After we will stop for lunch. See a well-known pepper corn plantation. 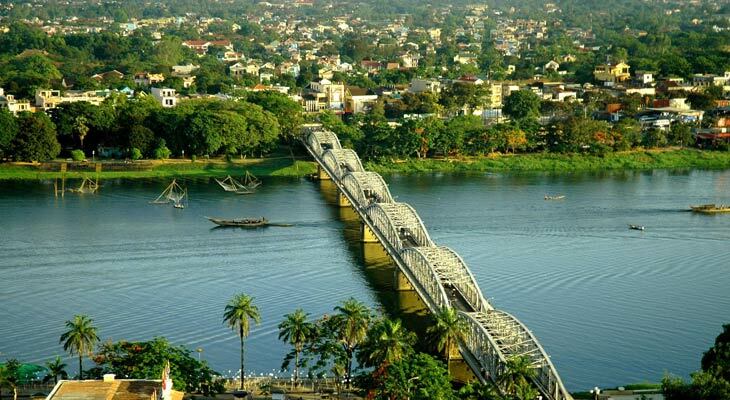 Head to Pleiku City famous for it’s war history of the Vietnamese conflict. Continue on to a green tea plantation. 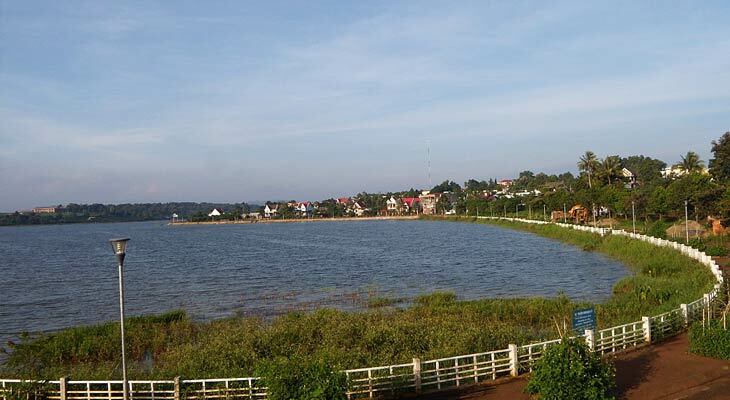 Stay overnight in Kon Tum. 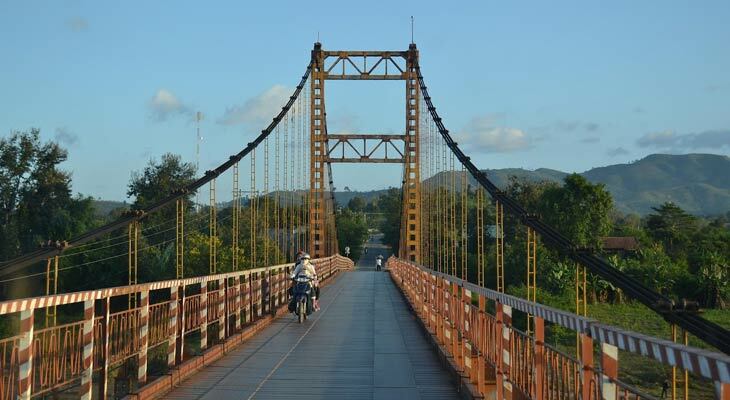 Explore around Kon Tum to see wooden churches, the suspension bridge and see the Bana tribal village and see the very unique architecture of the tall community meeting hall. Drive on to Dak To to see remnants of the US war and then onto Phoenix and Charlie hill. Stop at the Indochina triangle(border of Cambodia, Lao and Vietnam) to have lunch and learn about the history of the region. Continue on the Ho Chi Minh Road (not trail) For the brave hearted try crossing the VC suspension bridge. Ride to Dak Glei To meet with the mountain tribes. Ride up a beautiful jungle covered mountains. Stop on the original Ho Chi Minh Trail for a little bit of history. Descend down the mountain to see the many branches of the Ho Chi Minh. Stay overnight at Kham Duc town, surrounded by mountains and jungle. Continue on the Ho Chi Minh road and stop at a waterfall next to the road. Stop by a workshop where people carve furniture by hand. Go down to Thanh My, an area heavily bombed by the Americans to prevent movements of the VC on the the Ho Chi Minh Trail. Visit a pineapple plantation and sample some fresh pineapple. On the way to Hoi An, visit locals who make rice paper. After that see the 11th century Champa Tower. 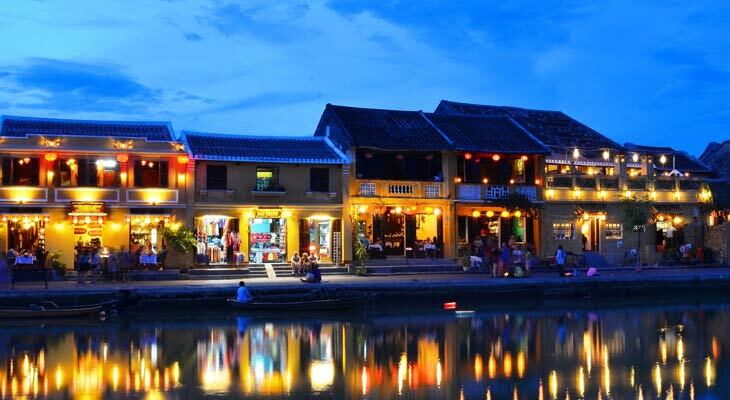 Move on to Hoi An city and explore the charm the UNESCO city. Ride the coastal road and stop by Marble mountain to learn about the 5 elements. Continue on and cross over the Hai Van Pass, or as some refer to it ‘the cloudy pass’. Stop off for a coffee and a enjoy the fantastic views. Go down the pass and see a segment of the Vietnam railway and the beautiful coastal views. Stop and enjoy the fresh seafood of Lang Co, and then make the final journey to Hue City, the ancient capital of Vietnam. 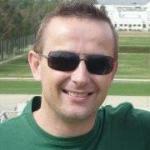 This trip is designed for both self-riders and pillion passengers ( You enjoy the rides behind your driving guides). 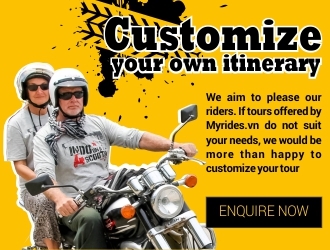 We aim to please our self-riders and pillion passengers If tours offered by Myrides.vn do not suit your needs. 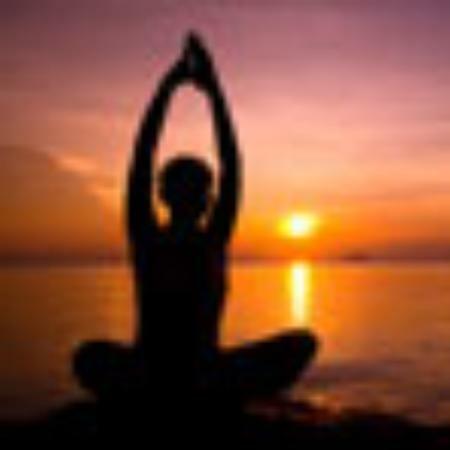 We would be more than happy to customize your trip.